The mountain stretches more than 200 kilometers from south to north. Its main peak, Golden Summit, is 3,077 meters above sea level. Mountain Emei, seven kilometers southwest of Emeishan City, 160 kilometers southwest of Chengdu, is like a huge green screen standing in the southwest of the Chengdu Plain. The mountain stretches more than 200 kilometers from south to north. Its main peak, Golden Summit, is 3,077 meters above sea level. The splendid Mt. 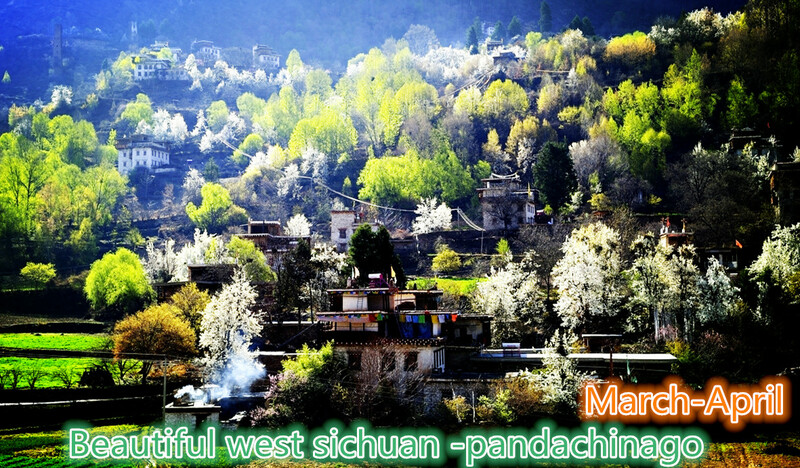 Emeishan was created by the Himalayan mountain-building movement and the later uplift of the Qinghai-Tibet Plateau. It contains geological features of all the periods following the Cambrian period. The special geological feature is the precondition of the growth of various species and beautiful sceneries. 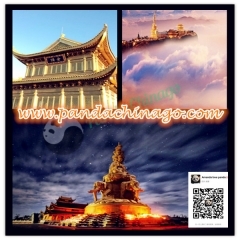 Ever since, Mount Emei has been one of the most holy places of Buddhism. Extensive rebuilding during the Ming dynasty finally converted most of Emei’s Taoist temples to Buddhism. WanNian temple(万年寺）,which means “Temple with Thousands of Years of History” in Chinese, is located at the middle of Mount Emei ,about 1000m above sea level.It is one of the primary temples on the mountain. It set up at AD 401, there are about 20 acres,temple layout is very beautiful, the entire temple to sit west east, followed by the Mountain Gate, Maitreya Hall, brick palace, towering palace, Main Hall. In addition to the whole temple hall of masonry dome roof tiles, the rest are wooden structure. Morning at 7:30am,Meet your driver in hotel lobby.Drive 2h to visit Leshan Giant Buddha,enjoy the idyllic countryside scenery on the way. Upon arrival, take a river cruise,you will see panorama Buddha. 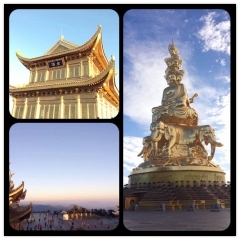 Leave Leshan Giant Buddha about 1 pm, drive another 40 minutes to the foot of Mt.Emei. 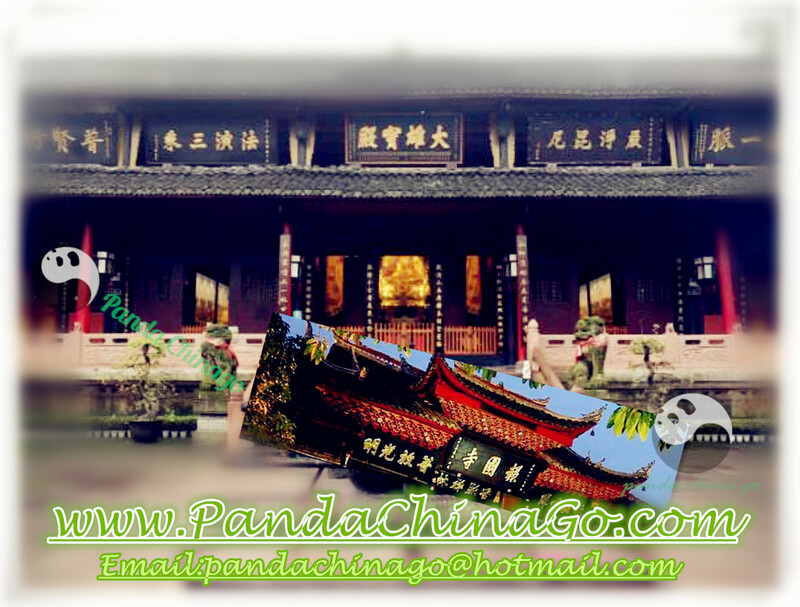 Visit the FuHu Temple and Baoguo Temple, drive back to Chengdu. Visit the Baoguo Temple,and check-in hotel. If weather permits, you will see the holy “Buddha Ray” and magnificent sunrise. Afternoon:Take cable car downhill to Leidongping. 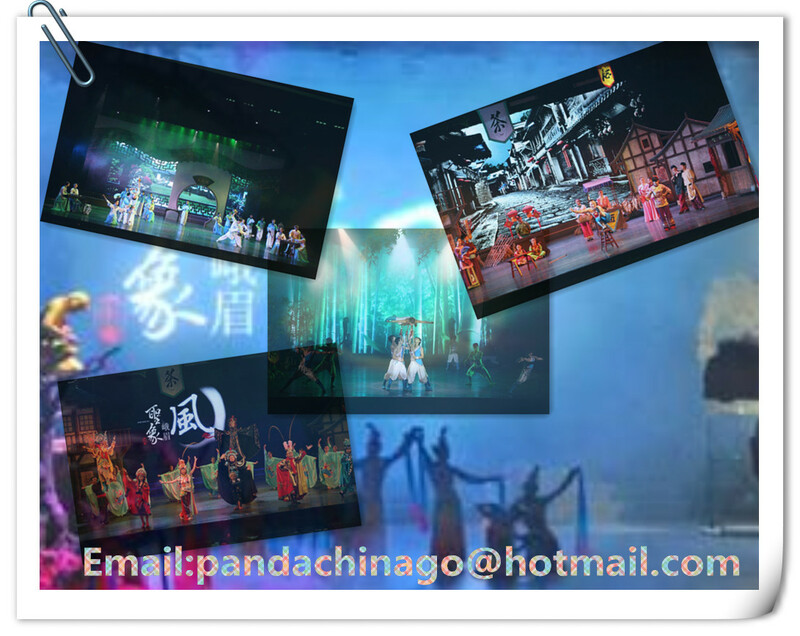 From Leidongping Station, take the sightseeing bus to the mountain feet Baoguosi station. 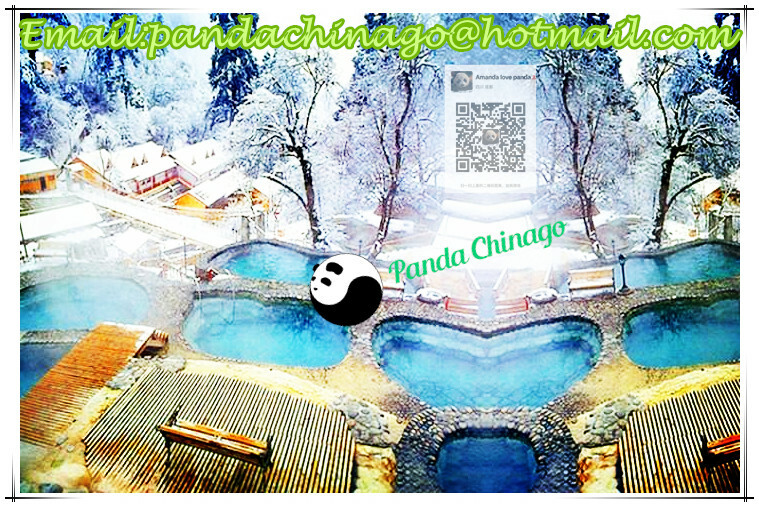 The driver will pick you up at the Baoguosi bus station, drive back to Chengdu.You will be back to Chengdu around 5 pm. Provide mobile for emergency call (English support). Upon arrival, take a river cruise,you will see panorama Buddha. 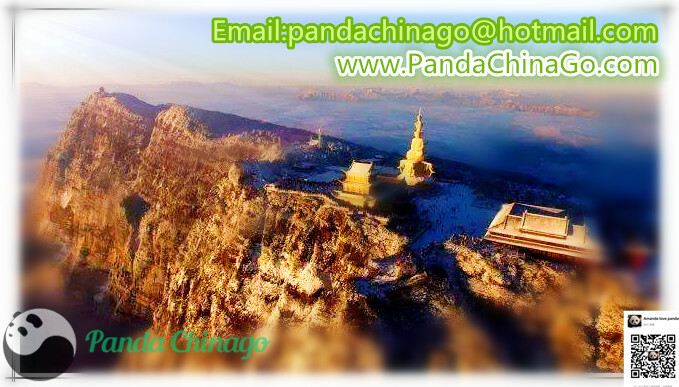 And climb up the Mount, you will visit the LingYun temple,and walk down the cliff to the foot of Giant Buddha. 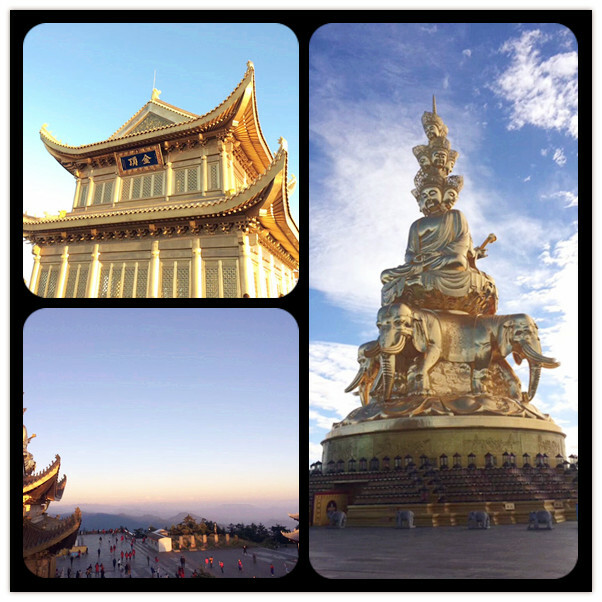 Leave Leshan Giant Buddha about 3 pm, drive another 40 minutes to the foot of Mt.Emei. Check-in hotel. Have a rest, driving to downtown of Emei, you may have a local flavor dinner. Morning: After breakfast,Take sightseeing bus and cable car up to the biggest monastery in Mt.Emei-Wannian monastery(1020m above sea level).You will visit the well-preserved Buddhist architectures and the national treasure- over 500 years old giant Puxian Buddha bronze statue. Afternoon:Hike downhill to Wuxiangang Station,(About 3 hr hiking).On the way , you will pass the most picturesque and poetic section of Mt.Emei, the crystal clear spring, old monasteries admits among lush trees, monkey area, make the hiking very pleasant. From Wuxiangang Station, take the sightseeing bus to the mountain feet. Visit the FuHu Temple Temple. Morning,be an early bird,if weather permitted,you will behold the sun rise and the sea of clouds. 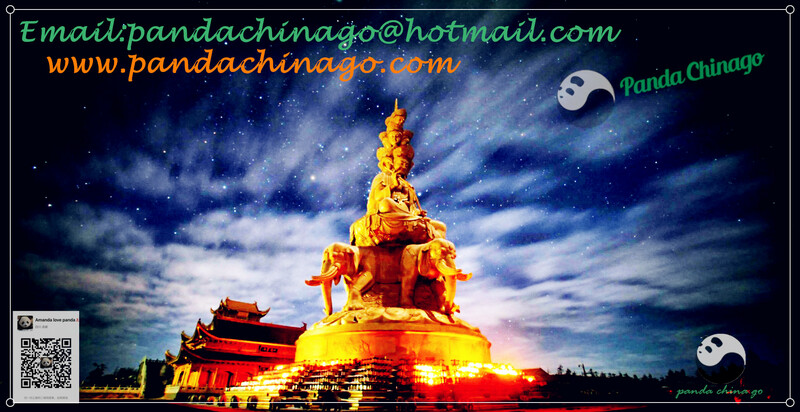 Take sightseeing bus (about 2 hours) to the highest parking lot-Leidongping.Take the cable car to Golden Summit.Visit the huge bronze Puxian Buddha Statue and Gold/Silver/Bronze palace on the top of Mt.Emei. Afternoon:Hike downhill to Leidongping Station(About 2 hr hiking).From Leidongping Station, take the sightseeing bus to the mountain feet Baoguosi station. Visit the Baoguo Temple ,the driver will pick you up at the bus station, drive back to Chengdu.You will be back to Chengdu around 5 pm. There are also monkeys, who are accustomed to tourists and assertive; they aren’t dangerous but will beg for food and grab at bags as hikers walk along the trails. Many hikers carry walking sticks to shoo them away. There are over 30 Buddhist temples on Emei Shan, 10 of which are large and very old. They are considered masterpieces of creative ingenuity in the way they adapt to the natural environment and beauty of the holy mountain. At the mountain base is Baoguo Monastery, built in the 16th century. The monastery has serene gardens with rare plants, a library of sutra and a huge porcelain Buddha. In the stone staircase of the rear hall are figures of the Eight Immortals, betraying the temple’s Taoist origins. Further up the mountain lies the Crouching Tiger Monastery (Fuhu Si). Once associated with the Taoist martial-arts master Zhang Sanfeng, today it is a Guanyin nunnery. Notable features include the 16th-century, 7m-high bronze Huayan Pagoda, which is engraved with 4700 Buddha images.